Traffic Stop Leads to Drug Bust, CORRIGAN, November 17, 2016 - At approximately 9:37 pm on November 15, 2016, Officer Joseph Hood, with Corrigan Police Department, was patrolling on US-59 in Corrigan with a speed radar and initiated a traffic stop on a silver 2008 infinity that was traveling at a high rate of speed. 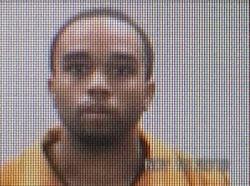 When Officer Hood approached the vehicle he could smell a strong scent of marijuana. By now, Officer Michael Powell (also with Corrigan PD) arrived to back up Hood. The driver of the vehicle, Jordan Rogers, 24, of Mansville, was driving with a suspended license. With the heavy smell of marijuana, probable cause was established and a vehicle search was conducted with Rogers and his two passengers (Eldridge Fountain and Alex Rogers) being detained outside the vehicle. 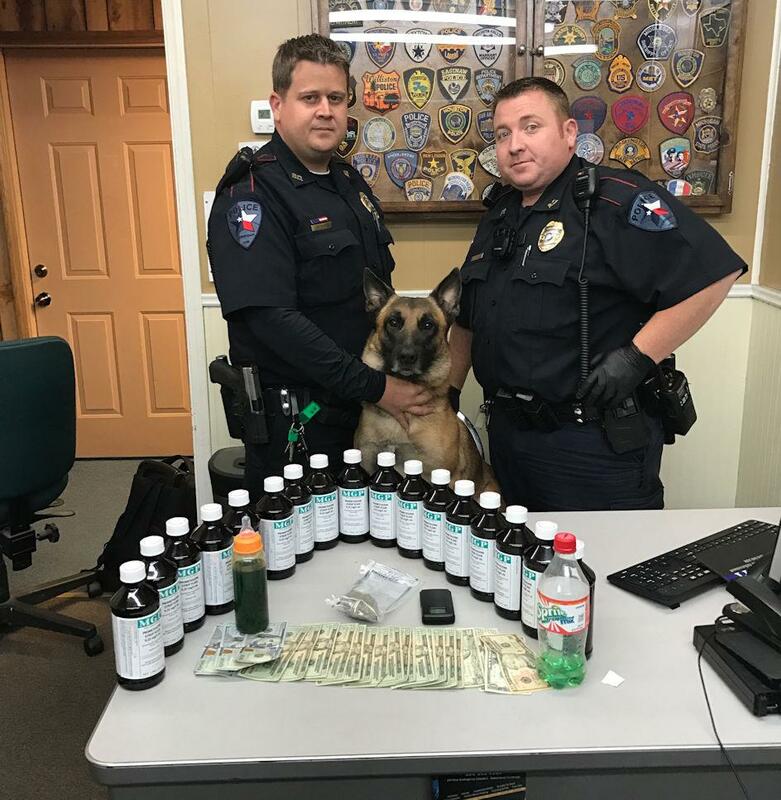 The search was fruitful as the officers uncovered 17 bottles (over 8,000 grams or 17.7 lbs) of promethazine syrup (codine) and a small amount of marijuana. All three were arrested and are facing felony drug charges. Canine "Riddick" (center) with Officers Joseph Hood (left) and Michael Powell display the goods.